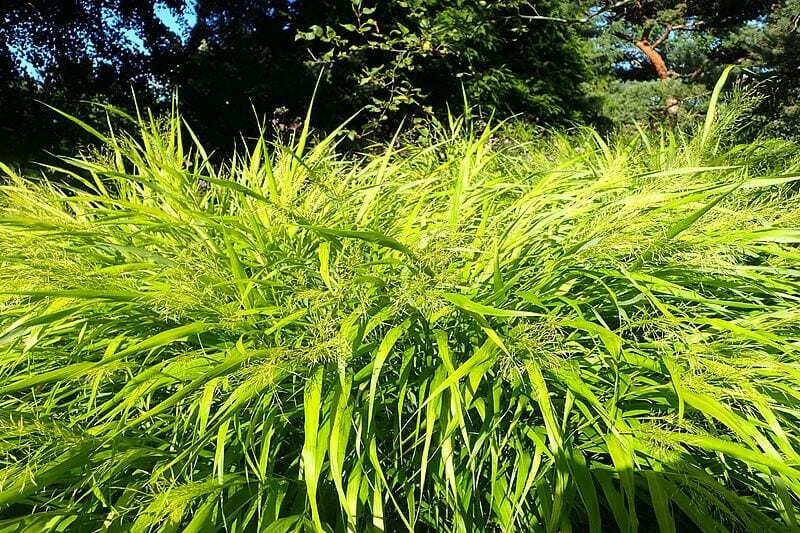 A magnificent grass with attractive, gold variegated, lime-yellow foliage, in long ribbons. It forms tight, neat mounds and is excellent low ground cover in shade, whilst also being stunning in a large pot in a shady spot. Plant in multiples for effect or to soften borders or edges. If placed in sun the leaves turn a brighter yellow. Deciduous, but leave the flowers on for added winter interest. Pot size 1.5 litre. Hardiness zone H7. Cut back hard in early spring, which is also a good time to divide established plants. Photo coutersy of Krzysztof Ziarnek, licensed under the Creative Commons Attribution-Share Alike 4.0 International license.